PT Astra International Tbk - Astra International (IDX : ASII) or referred to as "Astra Group" is the Country's stongest business conglomerates. Astra Group has a total of more than 220,000 employees working in more than 200 subsidiary companies, associated companies, and jointly-controlled entities spanning over seven business segments. Astra Group's business segments include Automotive, Financial Services, Heavy Equipment and Mining, Agribusiness, Infrastructure, Logistic and Others, Information Technology, and Property. As per December 2015, PT Astra International Tbk is 50.11% owned by Jardine Cycle & Carriage Limited Singapore and 49.89% by investors and general public. Astra Group is domiciled in Jakarta and its head office is registered at Jl Gaya Motor Raya No 8 Sunter II Jakarta14330. 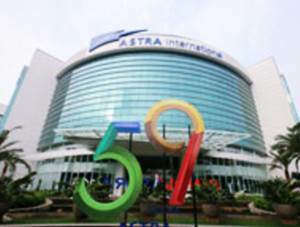 In term of financial performance, PT Astra International Tbk registered total net revenue of Rp 88,208 billion in the first half of 2016 (1H 2016, ended in 30 June 2016) or 5% down from Rp 92,505 billion in the same period at previous year (1H 2015). The Company’s total net income in 1H 2016 declined by 12% to Rp 7,116 billion from Rp 8,052 billion in 1H 2015, according to PT Astra International Tbk business update (1H 2016) as cited by JobsCDC.com. JobsCDC.com now available on android device. Download now on Google Play here. Please be aware of recruitment fraud. The entire stage of this selection process is free of charge. PT Astra International Tbk - Recruitment Professional Program Astra Group December 2016 will never ask for fees or upfront payments for any purposes during the recruitment process such as transportation and accommodation.